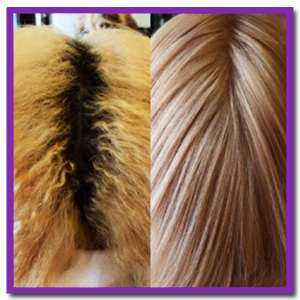 Whether you have natural hair or color-treated tresses, hair maintenance can be hassle-free with a little help from the experts at Dominican Hair Design Salon in Tucker, GA. Since we opened our salon four years ago, we have been providing residents in and around the area with exceptional salon services at rates that fit their budget. From basic haircuts to specialized repair treatments for your locks, count on us for effective solutions. We also sell a range of quality hair care products so you can maintain your tresses with ease even at home. Our founder, Miledy Acosta, is a licensed master cosmetologist with over 25 years of experience in the industry. She and her daughter, Yandi, who is also a licensed master cosmetologist and makeup artist, aim to provide you with the personalized hair care services you deserve. No matter your hair concerns, be it finding a new look or helping you maintain the hairstyle you love, you can be confident that with us, your tresses are in good hands. Look and feel good with beautiful, fresh, and easy-to-maintain hairstyles from our hair care professionals. Trust us with your crowning glory today. We would be more than happy to help you with your hair woes. To learn more about the hair services we offer, you may reach us at (770) 724-0071.